Busy Bees in Newcastle Upon Tyne - Absolutely Incredible Kid Day 2018! Absolutely Incredible Kid Day 2018! At Busy Bees Newcastle, all of our children, staff and families are super incredible, and on the 16th of March we decided to show it off! We had SO much fun joining in with our super hero day theme and turned into our very own hero and celebrated all of the amazing thing that make us... us! Throughout the rooms we dressed up as our favourite super heroes and had an incredible day! 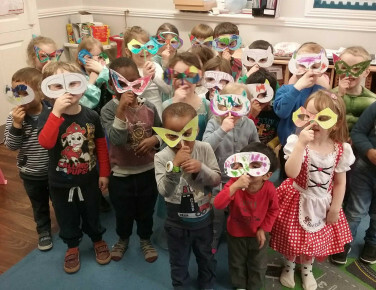 We made our own masks, got involved in some fantastic activities and even had a super hero party tea!! The older rooms has lots of fun getting involved in a group circle time and discussed all of the fantastic things that the children love about themselves... since we are all pretty awesome!